I LOVE HGTV! I truly have a deep spot in my heart for all the things Fixer Upper, Listed Sisters, and The Property Brothers come up with on a weekly basis. If you’re anything like me, as inspiring as those shows can be – they can leave you feeling like “well my house is crap!” Sometimes I have to take a break from binge watching so I don’t rip open a new wall or take down all my wall sconces for new ones. BUT as much as I love and admire the design skills of each of those and so many others – I’m most challenged to find my own design voice and what speaks to who I am. Mike said something so profound to me the other day as we watched FixerUpper, “it’s not that their style is so unique and out of this world, what we’re most inspired by is the freedom they have to express who they are and their brand.” And it clicked! That’s exactly what I love about all of them! Over the last several years as I’ve rearranged and rearranged my house I think there are 3 things you can use as guidelines in finding the freedom in your voice as well. 1. Learn your favorite color story: This is vastly different than your favorite color. Look around your house, we often subconsciously purchase certain colors in our furniture, accents, and central pieces. As you begin to pin down those colors, start putting together complimentary and accent colors that go around them. 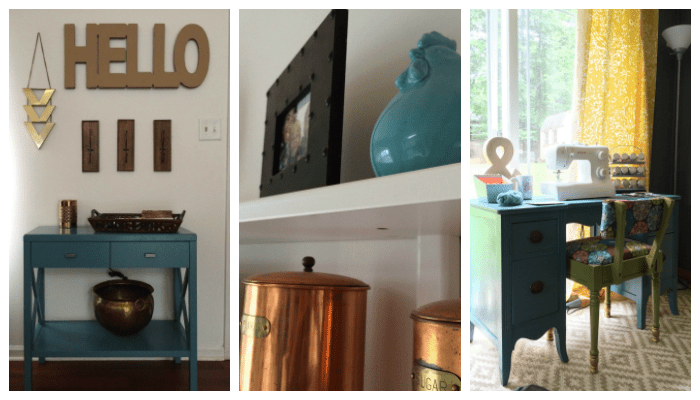 In my house I love neutrals, BUT I realize that teal is a common color in almost all areas of my house. From my living room to my basement you see that color along with other variations of it. So what’s yours? Start there and use a color wheel to begin weaving that together! 2. Stay true to YOU, not the trends! See that there? Those are tons of pallets for the pallet wall we insisted we needed. Until we realized it wasn’t “us.” There are so many trends that look wonderful in other homes, but may make no sense in your home. So be careful! Just because Design Love Fest has gorgeous white couches, doesn’t mean that’s for you and the toddlers in your home. Trends aren’t sensible, their trends. Be selective, home decor and style cost money…which leads to my last guideline. 3. Plan THEN Complete. Splurging can be awesome, being sponsored is phenomenal, but most people do not have those two factors just lying around at their disposal. So PLAN! Which is why knowing your color story is key. You will be so surprised that many of the looks you want to achieve you already have most of the items in your home! 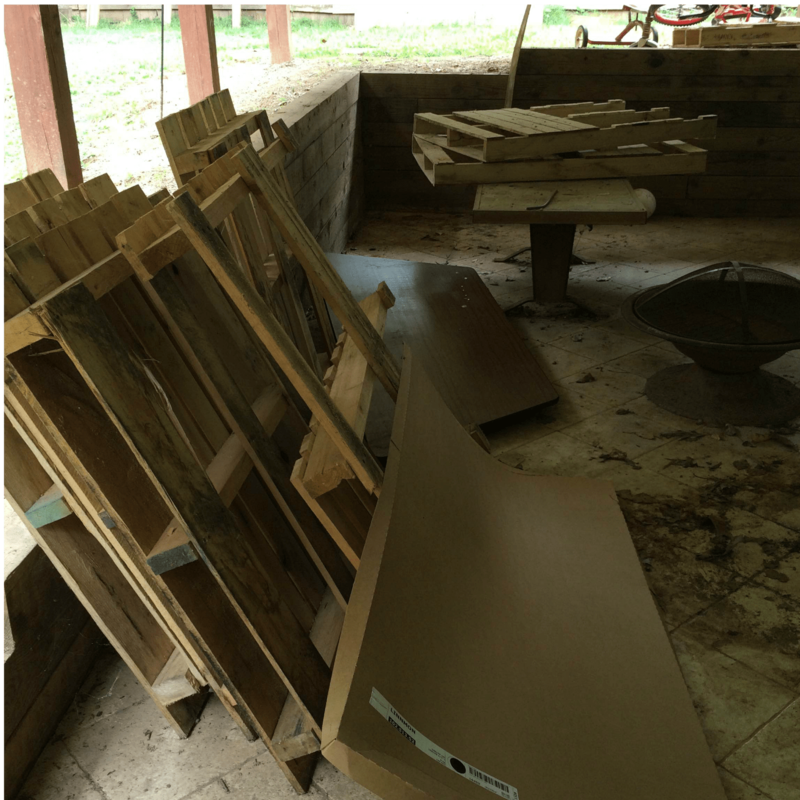 Sometimes deconstructing a room allows for you to reconstruct another. I will buy something that I think is awesome for my kitchen, but then ends up in our bedroom. For someone like me who doesn’t like planning, I’ve found this is a guideline I have to stick to if I want to achieve the look I’m aspiring for. Being patient during the completion process also helps my pockets if you know what I mean. Be inspired not discouraged. Flip through Pinterest and pin down those items you love! Create your board, look at your current color story, and IMPROVE it! Express your unique style the best way possible and I promise you’ll feel like a million bucks. People will walk in your home and LOVE it as much as you do!